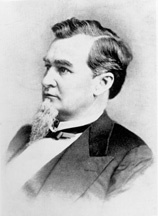 Dictionary of American Biography; Hardaway, Roger D. Howell Edmunds Jackson: Tennessee Legislator and Jurist. West Tennessee Historical Society Papers 30 (1976): 104-19; U.S. Supreme Court. In Memoriam. Washington, D.C.: Government Printing Office, 1895.